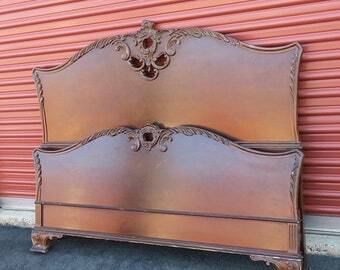 I offer a variety of colors and finishes on hand picked vintage ,quality furniture. Attention to detail is my top priority...all finishes applied by hand. Each design ,unique unto itself...to help you create...your own special style. Get the Look you Love with Poppy Cottage. HGTV and the Great American Country channel. June I absolutely LOVE the beautiful furniture! Thank you so much for all of the hard work and love you put into these pieces. They look perfect in our home and we look forward to many years of enjoying them! 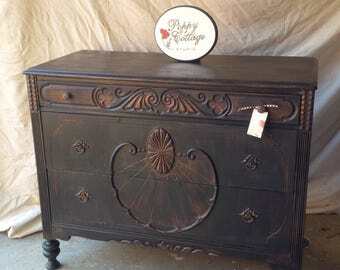 This rare dresser is in the most beautiful boot black color with flecks of shimmering gold. 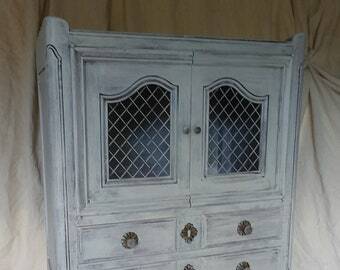 The dresser sparkles in the sunlight like a mesmerizing constellation! The finish is of perfectionist quality. Shipping was very prompt. 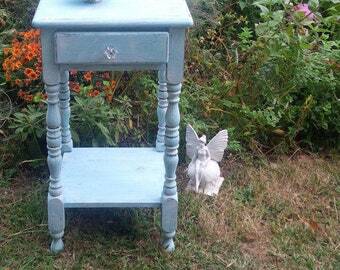 These vintage nightstands were custom painted, arrived undamaged and look beautiful in the bedroom! Poppy Cottage was easy to work with, responded promptly to any questions and provided a high quality finished product. I would definitely work with them again. 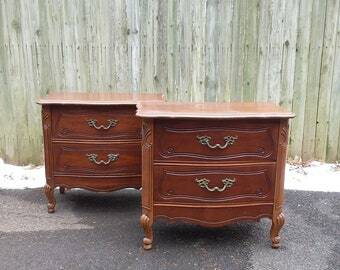 The only downside - the shipping was pretty expensive, but on the plus side, the nightstands were delivered in perfect condition. 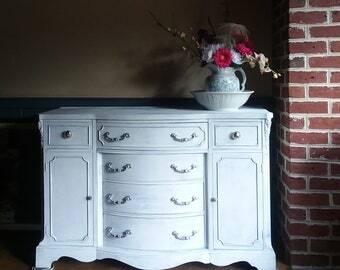 June Moon~ Artist / Designer of Poppy Cottage / Singer~Songwriter ~Red Credenza and Decor by Poppy Cottage Studio. My Father Jack...my inspiration and he was my biggest fan. My Etsy shop... evolved from my artistic journey in life and the gift of creativity leading the way. in a rambling old cottage on a lake ,in the Adirondack mountains . 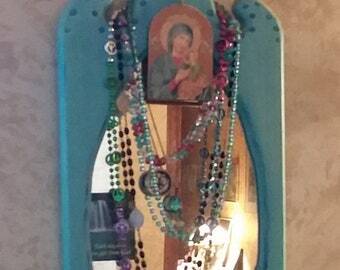 in that place of quiet beauty where writing and creating filled my days. one of a kind vintage pieces.In this throw-away world,I find great satisfaction, in bringing these pieces back to life for you to enjoy in your home. to carry me thru the process and that is my gift to share. My passion is creating....beauty in the home...on a canvas ,in the garden .I love writing ,poetry and music. 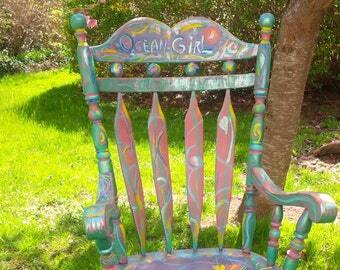 furniture with personality....painted with attention to detail. Offering quality affordable,one of a kind style and design, for your home. Each piece of furniture is re~imagined with love and care.I choose solid ,quality vintage furniture .I work to make the piece beautiful again.I sand and glue and patch and prime before I apply the finish....everything is done by hand and the result is a quality product.Bear in mind, that I offer vintage pieces /gently used and they must be expected to have normal wear for their age...which adds to the character of vintage pieces...with all the charm and quaint quirks that give vintage pieces, one of a kind style.I describe each piece the best I can in my listings. NOTE:Please be sure to 'complete the sale' at check-out by making payment. Kindly make purchase within 24 hours. with care, very important with painted vintage items. ***All Truck Shipping is paid COD/upon delivery directly to the shipper. Once item is on the shipper's truck it is their responsibility to contact you about delivery.I provide them with all of your contact info and they set up their own delivery time and schedule. WINTER SHIPPING : Delays happen/ especially in the WINTER. to insure that your item arrives safe and sound. The service is UPS and takes about 3 -10 business days ,depending on your location. **Convo with Zipcode for packing/shipping quote(if not already listed). I will add the fee to the listing /under shipping before purchase. I also package and ship items myself when needed and feasible to do so. method and shipping price available for your items. >>>>Feel free to arrange your own shipping. ***DELIVERY Time /Turn-Around: Depending on where you are and what service is used,it can take anywhere from 1 week to 4-8 weeks. I will keep you informed of any updates or changes.Thanks!! ***NOTE: Shipping to Alaska and Hawaii/Please Convo before ordering ...as it is a horse of a diffrent color,so to speak. Communication is key...please feel free to convo with questions before purchase or if you have a problem with your purchase. 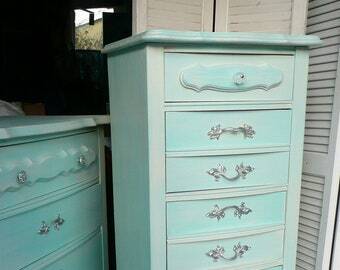 If you would like a piece of furniture re~ done in a color of your choice,I'd be glad to custom paint it for you....**(Convo for upcharge fee).